Once suffering from PCOS, Sara has put all the efforts to get a toned body. Through her hard work and dedication, Sara has attained this perfect body of hers. There is no doubt that Sara is a fashionista. Even in her gym attire she looks absolutely stylish. 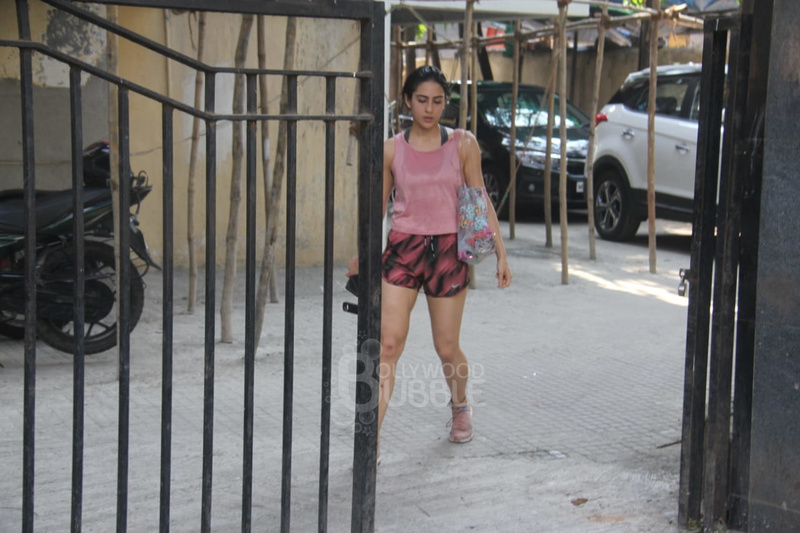 She donned a pink ​tank top, a pair of shorts which she paired with sports shoes. Sara makes sure that she never misses her gym session. Despite a tiring gym session Sara was all smiles while waving at the paparazzi.